Click the "Export Events" command on the File menu. 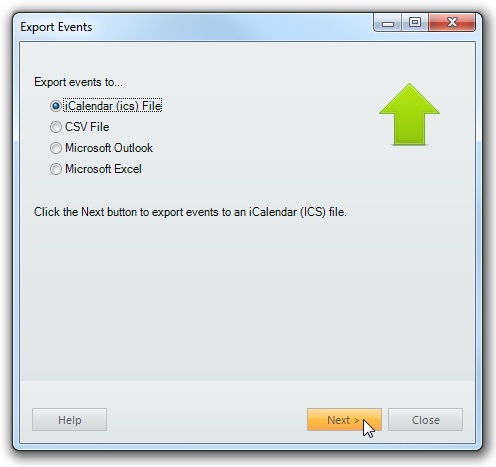 Right-click the Calendar List and select the "Export Events" command from the popup menu. Events can be exported by clicking the "Export Events" command on the File menu.